Our fully fitted & waterproof terry mattress protectors are designed to protect your bed from liquid spills. 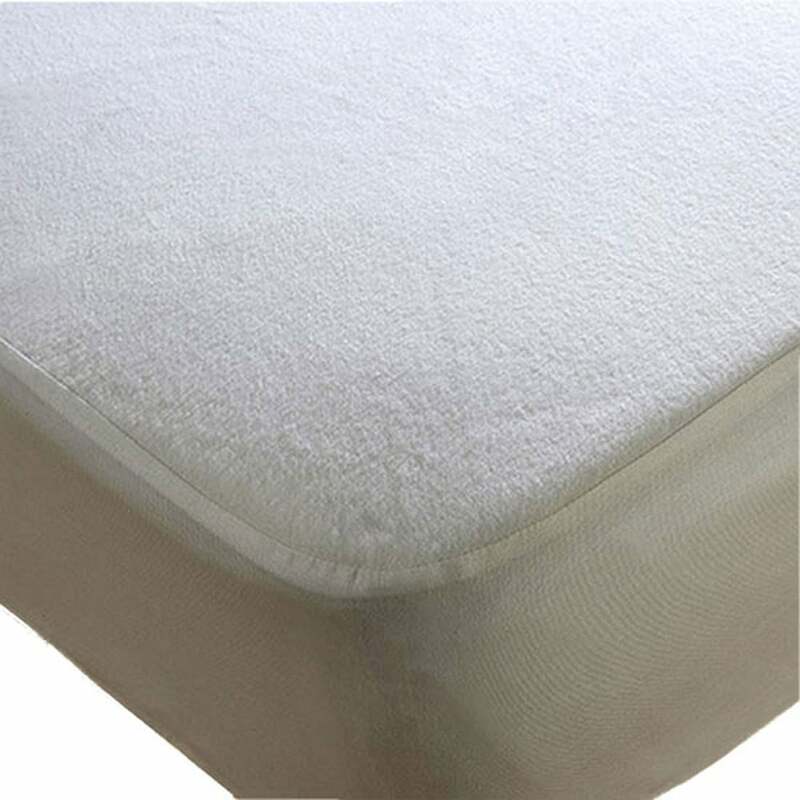 The soft cotton pile upper is slightly absorbent and the discreet polyurethane backing which is breathable, allows air to circulate around your body whilst preventing moisture passing through to your mattress. They fit on to the bed just like a standard fitted sheet and have a generously sized, knitted polyester elasticated skirt which makes them suitable for any depth of mattress and ensures they stay in place whilst in use but are easy to remove for cleaning. The mattress protectors can be washed at 90, ensuring that most bacteria is killed in the wash and are suitable for either line drying or can be tumble dried on a cool setting. These mattress protectors are also Anti-Allergenic protecting the user from household dust mite and other allergens which cause conditions such as rhinitis and asthma. Terry range has over time, proven to be one of the most hardwearing, resilient and popular mattress and pillow protector products on the market.